In August of 1993 a Waldorf-inspired kindergarten, the Enchanted Desert Playgarden was founded by a group of educators, artists and professionals inspired by the dream of creating an educational environment that was both spiritually enriching and dynamic in its approach. The kindergarten was developed on a solid foundation based on many years of individual and group study of Anthroposophy and the works of Rudolf Steiner. In the two years prior to the school’s opening, many individuals invested tremendous time and effort to ensure the school’s success. There has been an Anthroposophical study group in Tucson since the mid-1980’s. In the spring of 1991, a Waldorf educator was invited to Tucson to speak about child development and Waldorf education, with the intention of founding a school community. Waldorf-inspired playgroups were created and festivals were celebrated beginning in the fall of 1991. By the summer of 1992, the Tucson Waldorf Education Association, a not-for-profit corporation, was established. From the time that the school first opened its doors in September of 1993 through 1997, the early childhood program, including kindergarten and playgroups, expanded to accommodate a growing interest in the school. In August of 1997, the grade school program was officially established. A trained Waldorf teacher, who had been teaching in our kindergarten for three years, stepped out of the kindergarten with a group of children to form our lead class. Each year since that time, a new grade has embarked on their grade school journey with a teacher called to work with the individual children forming that class. After many years of searching for a permanent home, in the spring of 2002, we found a centrally located property. Through the support of the Rudolph Steiner Foundation and contributions by the community, including many founding members of the school, the property was purchased and renovated to accommodate our grades school. 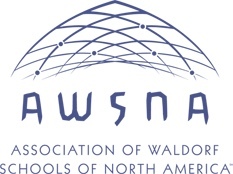 We are currently a developing member of the Association of Waldorf Schools of North America (AWSNA). In 2006, AWSNA approved our name change to Tucson Waldorf School.